New York Times columnist David Leonhardt recently wrote a widely shared article arguing that Democrats were the party of fiscal responsibility while Republicans were nothing more than profligate spenders and reckless tax cutters. The heart of Leonhardt’s contention relies on a old liberal claim that alleges GOP presidents are responsible for the bulk of our massive debt. “Every one of the last four Republican presidents has increased the deficit,” Leonhardt writes. “Every one of the last three Democratic presidents has reduced the deficit.” He even has a chart to prove it. I did notice a pattern. The above graph, like many of the other assertions in the article (Democrats cut corporate welfare and social programs? Obamacare held down deficits? ), are misleading or highly debatable. Leonhardt, for example, makes a bunch of inconvenient debt that resulted from spending liberals deem “necessary” simply disappear. The stimulus bill championed and signed by President Obama was pegged at $787 billion, but the cost grew to around $2.6 trillion when “automatic stabilizers” -- Keynesian spending increases embedded into law -- were included. The above graph discounts “automatic stabilizers,” which are both supported by Democrats and a reflection of economic conditions. While ignoring $1.8 trillion might be politically convenient, the fact is that the day Obama left office, the debt was almost $20 trillion, nearly double what it was when he got there. 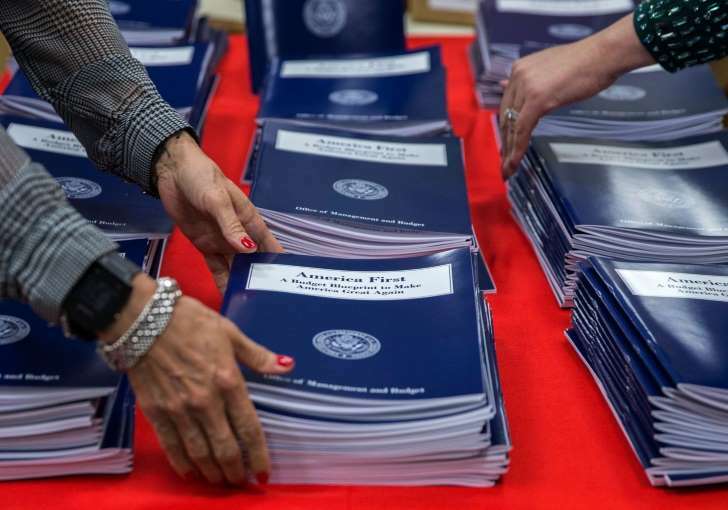 According to the Office of Management and Budget, the deficit went from just over 52 percent of gross domestic product at the end of fiscal year 2009 to 77 percent of GDP at the end of fiscal year 2016. With all that spending, Obama still oversaw the weakest recovery in American history. The only other way a person can argue Obama “lowered deficits” is by comparing his first year of historically high deficits — fueled by outlays that he either signed into law, voted for, or supported — to his other years (although deficits were again rising by the end of his term). That is deceptive, to say the least. Many presidents are guilty of growing the debt, but no president in history had ever taken on more than Obama did. And when we stop tipping the scale, and solely compare debt to the percentage of total economic output under all these presidents, we are left with a far different picture than Leonhardt’s selective framing. But, of course, it’s somewhat unfair to measure debt in this way. Presidents not only inherit the spending and compounding interest of previous administrations, but they deal with unforeseen circumstances that can lead to debt, like war and recession. Others, on the other hand, benefit from strong economies and a dose of luck. So the better question to ask is, "What situation is responsible for most new long-term spending?" The answer seems pretty obvious: one-party rule. Presidents don’t pass budgets, Congress does. When the GOP held the majority in the House for most of Obama’s two terms, they mitigated the explosion of debt. If Congress had adopted the contours of Obama’s budgets, as Democrats almost certainly would have if they were in power, the former president’s record on debt would have been far worse. According to the CBO, the 2016 White House proposal would have added $6.6 trillion in deficits over ten years. And who knows what kind of costly programs Democrats would have adopted had they been unopposed. The same can be said of Bill Clinton, who benefited greatly from a conservative Congress that curbed his worst instincts. Not so much George W. Bush (and, for now, Donald Trump), who rely on a largely pliable GOP. Moreover, most big-ticket items (before the Obama administration’s norm-busting expansion of government-centered health-care) had some bipartisan buy-in. Other times, as with George W. Bush’s expansion of Medicare, Democrats had argued that it wasn’t generous enough. It’s not as easy to assign blame as we’d like — though, other than military spending bills, I can’t think of any spending Democrats thought was too generous. While there may be fluctuations in how fast debt grows, the broader picture tells us that we are on an ascending — and accelerating — debt trajectory, no matter who’s in charge. A significant factor driving this trend is entitlements. The problem isn’t simply that the debt created by entitlements will become unsustainable, but that those entitlements are an increasingly larger percentage of the budget, rendering cuts or deficit reduction nearly impossible. The CBO says that from 2017 to 2047, Medicare will run a $40 trillion deficit and Social Security will run a $19 trillion deficit, and the interest on those deficits will add $23 trillion to the debt. Republicans deserve plenty of blame, yes. But for a person to believe that “[o]ne party has now spent almost 40 years cutting taxes and expanding government programs without paying for them” and the other “has raised taxes and usually been careful to pay for its new programs,” he would be forced to disregard the presence of Congress, every autopilot liberal-approved spending program in existence, and trillions of dollars in Democrat-driven spending that resulted in more debt but weak growth. Not to mention, they would have to accept the unstated baseline for Leonhardt’s entire argument: that government has first dibs on your money, and tax cuts, rather than ever-increasing spending, is driving the debt problem in Washington.